Ogden Smiths tackle shop ! The Ogden Smith Rods forum. 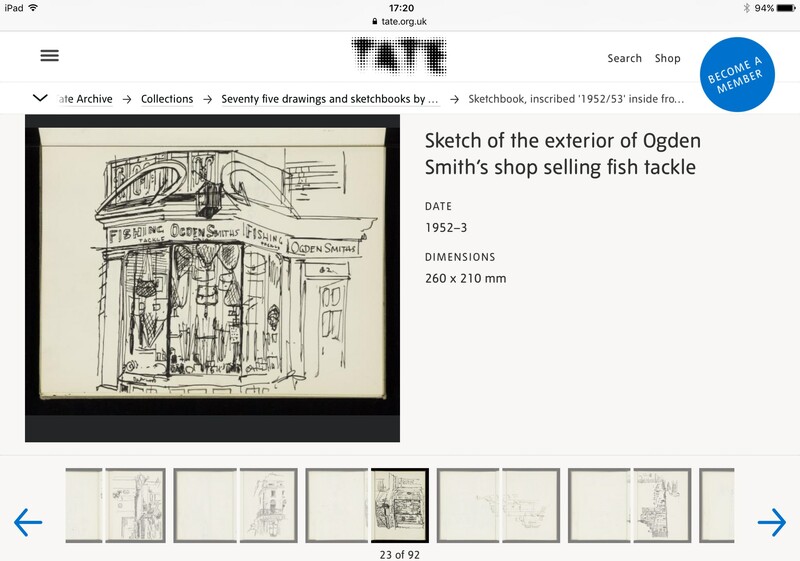 Just as a bit of interest, I stumbled upon this image of the Ogden Smith tackle shop, sketched in 1952/3 by an artist named James Boswell. Small, but perfectly formed. 62 St James St, Picadilly. It forms part of an album of sketches by the artist which was sold some time ago. Re: Ogden Smiths tackle shop ! I wonder where the "Golden Hooks" above the door ended up? If you have no grease with you, and your rings are full of ice, do not cut out the ice with a pen-knife but get your man to put the rings one by one in his mouth, and so to thaw the ice.